Stewart Donald is fast approaching the second anniversary of his all-consuming involvement with Eastleigh Football Club. The on-going progress that has been achieved in that period is evident to anybody who has witnessed developments at the Silverlake Stadium since Donald arrived. In November 2011, the Spitfires were in the midst of a cost cutting operation which had seen the departure of a number of key players, and a gutsy but predominantly inexperienced side was languishing in the wrong half of the Conference South table. Fast forward to today and the picture is very different. An Eastleigh team that is blessed with a playing staff which is the envy of their league rivals and, one would imagine a fair number of clubs operating further up the ladder, sit proudly at the head of the early season standings. Striker Sam Wilson who turned nineteen earlier this month has been allowed to sign for Calor League South & West Side Fleet Town on a months loan and made his debut for them against Didcot Town last Saturday. 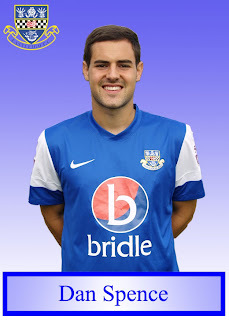 Sam who returned to the Club in the summer after spells at Poole Town and Gosport Borough, has seen restricted opportunities to gain a first team place so far this season owing to the form of the current strike-force. 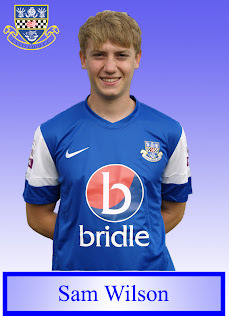 Sam has only made one start this season so far for the first team in competitive fixtures and that was in the Hampshire Senior Cup, whilst only three appearances have been made by coming off the bench in Skrill League and F A Cup fixtures although netting one goal from those bench appearances. Sam Wilson’s eyes brighten when he is asked to express his feelings upon receiving a telephone call from Richard Hill during the summer. Eastleigh’s manager was enquiring as to whether Sam would be interested in returning, after a year away, to play his football at the Silverlake Stadium. ‘Excitement’, is the emotion to which the 18 year-old routinely refers, when recalling that initial discussion with his prospective new boss. ‘Richard spoke to my Dad, and then I got a call myself and spoke to Richard. I was debating whether to go to Winchester City at the time, but Richard persuaded me to come here. He said I’d improve with full-time football, and I believed in him and trusted him so I came here’. We are speaking early in September, immediately after one of the day-time training sessions which were a large factor in Sam’s eagerness to become a Spitfire once more. So, has the move lived up to initial expectations? Wednesday this week (30th October) sees the first game of our new look development squad as they take on Portsmouth at the Silverlake Stadium (kick off 11.00am). This will be the first of many games which the club are arranging against other professional league and non league clubs who run similar youth and reserve structures. Former Spitfires first team player Lee Peacock will take charge of the team for the first time having been recently appointed in a full time role to help oversee our youth development programme in conjunction with Richard Hill. David Hazelgrove will add much needed continuity transferring his duties from the recently withdrawn Wvyern team to the development squad. This announcement follows on from the recent news concerning the Wyvern team. We feel as a club that if we are to maximise our potential in bringing through youth team players that it is essential we progress to playing fixtures against the highest calibre opposition possible. With the Club progressing through varying stages at this current time, the Club has had to take the unfortunate step of withdrawing the second side at the Club from the Wyvern Combination Football League. The Wyvern Football Combination is a well organised and competitive competition but it is thought that at present the calibre of player coming through would be better prepared through other avenues. With that in mind there is a plan that has been brought to fruition behind the scenes over a period of months that will be rolled out into the Club over the coming few weeks. This is an exciting time for all levels of Eastleigh Football Club and once final details have been presented to all players at all levels and management staff over the next few days, then further public announcements will be made. Eastleigh reserves played AFC Grains in the SDFA Senior Cup (Southampton Senior Cup) on Monday night. Eastleigh lined up against the unbeaten AFC Grains as follows: Tom Coffey was in goal with a back four made up of Ryan Fuller and Sam Griswood at full back with Tony Lee and Captain Jack Smith in the centre. In midfield James Jennings and Brad Doyle were the wide players with Elliott Cross and Harrison Weeks in the centre. Geoff Dunn then played in just behind Braiden Hamilton up front. As early as the eighth minute Tom Coffey was called into action with a good save pushing the ball round the post. Eleven minutes in and AFC Grains had a goal ruled out for offside. On seventeen minutes Coffey saved again with a push around the post. 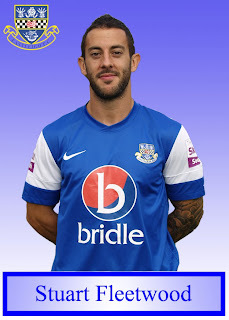 In the twenty-fifth minute with Eastleigh on the attack Brad Doyle had two efforts in quick succession well saved by the Grains keeper. During a summer in which Eastleigh’s manager, Richard Hill, made a clutch of elite acquisitions to his squad, the arrival of Stuart Fleetwood at the Silverlake Stadium perhaps spoke loudest about the Spitfires’ determination to secure Conference Premier football in time for next season. 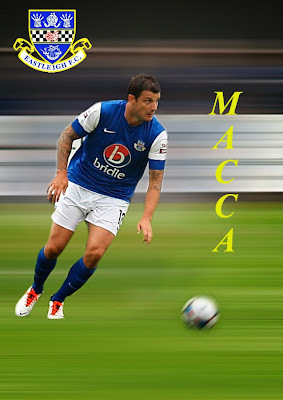 Here was a striker with considerable pedigree, in the peak years of his career, and who five years ago was putting his name to a three-year contract at Championship outfit Charlton Athletic, pledging the next stage of his career to a club playing in the Conference South. Fleetwood is quick to dismiss any theory that his latest move is the first phase in a winding down process on a football adventure that began when, as a schoolboy, his rich potential was spotted by Cardiff City. Now, after nine games in which the Spitfires have dropped only five points to sit proudly at the summit of the Conference South, Glen is able to reflect on a fine opening to the campaign. ‘There is a good feel about the place at the minute. When we set out at the start of the season, with the new boys that had come in, we wanted things to gel and be running smoothly as quickly as possible. Apart from the one setback at Basingstoke, we’ve had a very, very positive start. Fingers crossed we can keep it going’. When attempting to assuage a group of supporters dissatisfied by their club’s lack of incoming transfer activity, many a football manager has fallen into the trap of hailing the potential impact of a player returning from injury as similar to that of ‘a new signing’. 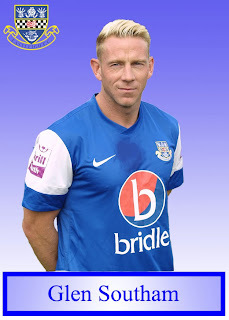 In the case of Richard Hill and Dan Spence, Eastleigh’s boss really can consider his elegant full-back as a high-calibre addition to his illustrious clutch of summer acquisitions. ‘It was very frustrating. Of the four games I’d been at the club we’d been doing well. I was in the team and performing quite well, and it was just a freak injury. Details have been finalised for the FA Challenge Cup Third Qualifying Round tie for Saturday 12th October. If a replay is required, it will be at Oxford City’s Place Court Farm Stadium on Wednesday 16th October at 7.45pm. This is to avoid clashing with the England v Poland World Cup Qualifier being played on the Tuesday evening. 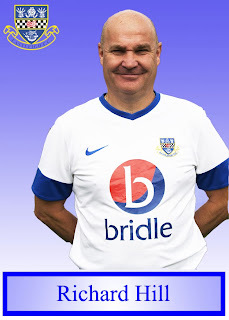 Eastleigh are delighted to announce that Richard Hill has been awarded as The Skrill League Southern Division Manager of the Month for September 2013. Celebrating his one year anniversary during the month of being at the helm, Hill has been close on several occasions in his tenure so far of taking the award - but this is the first time that he has won the accolade as his Eastleigh side sit proudly at the top of the league table. The results that enabled Hill to clinch top spot was five successive victories, four in the Skrill South over Bromley, Maidenhead United, Eastbourne Borough and Hayes & Yeading United with an additional FA Cup victory over Mangotsfield United, his side scoring twelve goals and only conceding two. A largely inexperienced Eastleigh team slipped out of the Hampshire Senior Cup at the hands of Wessex League outfit, Whitchurch United. The visitors were full value for their single goal win which was earned by a Curtis Angell strike on the stroke of half-time. Will Evans was the highest profile name among the home ranks who took to the field. The imperious midfielder continued his return from a pre-season knee injury by playing 55 minutes, a period during which he was largely content to ease valuable game time into his legs and, on occasion, adorn proceedings with a sprinkling of effortless class.